Due to abuse of the system by a user who apparently has nothing better to do than troll bulletin boards, we’ve had to implement a rotating new user password. 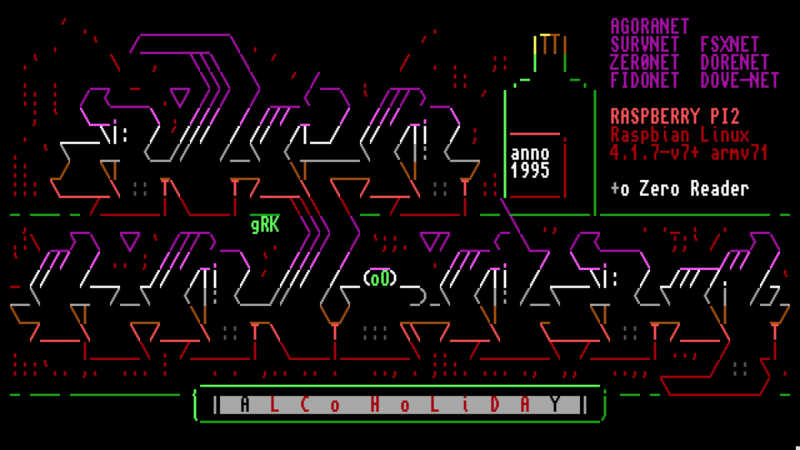 Alcoholiday is not an “art board” per se, but a board that appreciates good art — both of the “Amiga ASCII” and CP437 ANSI variety. Our main theme is called “Danger Girl” and is inspired by deadly women of comic books. 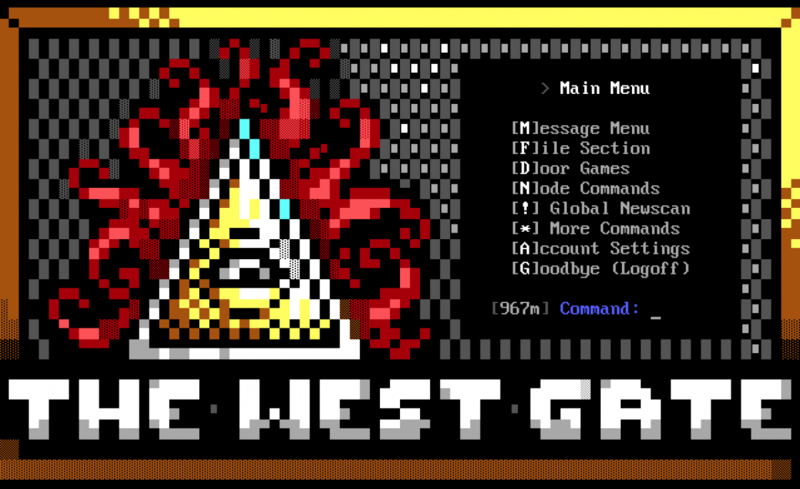 “The West Gate” is Alcoholiday’s more mystical alter-ego, based on the symbolism of Freemasonry, and is available as a theme at login. 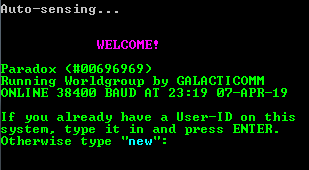 We also have a “Minimal” theme that is purely ASCII-based for ease of use with non-ANSI terminal clients, and limited mobile apps. Alcoholiday has very few file areas, as we believe the spirit of the traditional bulletin board is within its message bases. However we are an official iMPURE Ascii distribution site, and we do feature a handful of unique file bases for retro esotericism. We suggest Netrunner or Syncterm for the best experience. Both clients will automagically change fonts so ASCII resembles its traditional Amiga font, and ANSI blocks are represented properly. The browser-based terminal below will also work, but results may vary. Alcoholiday wouldn’t exist without the help and support of a few folks: Caphood, Jack Phlash, Griskokare, Luciano, g00r00, Avon, Metalhead, Gryphon, H7, Skuz, Shooter, Weatherman, and many others. Be sure to follow Alcoholiday on Twitter @alcoholidaybbs as I post all sorts of BBS-related stuff there. Connect to Alcoholiday BBS Now!